Savour the privacy of your own spacious and charming studio, 1-bedroom or 2-bedroom suite in downtown Vancouver’s fashionable West End. With all the amenities you would find in a condominium rental or serviced apartment including fully equipped kitchens, an attentive staff and personal space ranging from 600 - 1,900 square feet, you will feel right at home from the moment you arrive. 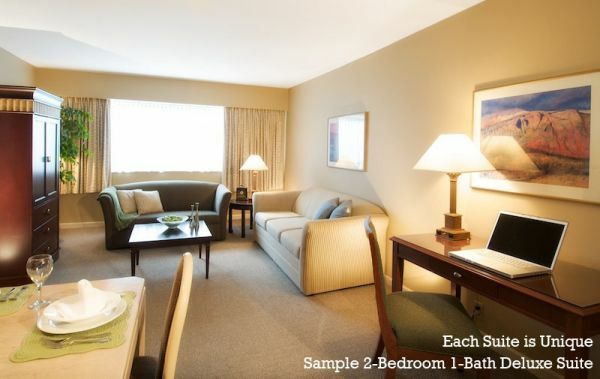 More than any other hotel in Vancouver, The Rosellen Suites epitomizes the casual, healthy lifestyle of its residents. Whether you are visiting Vancouver for a night, a week or longer, book your stay today and experience Vancouver more like a laid-back local than a visitor. Leisurely strolls through a beautiful residential neighborhood will bring you to the magnificent scenery, sandy beaches and Aquarium of world famous Stanley Park with the best of downtown Vancouver just steps from your door including the eclectic restaurants of Denman and the exceptional shopping on Robson. A favorite of film crews for years, be sure to ask about our celebrity guest list and for that very special occasion consider booking our largest suite frequented for many years by its’ celebrity namesake the Katharin Hepburn Suite. Each of the Rosellen thirty-one suites is a little bit different than the other with an eclectic array of furnishings and amenities allowing you to choose the perfect suite to fit your individual personality! 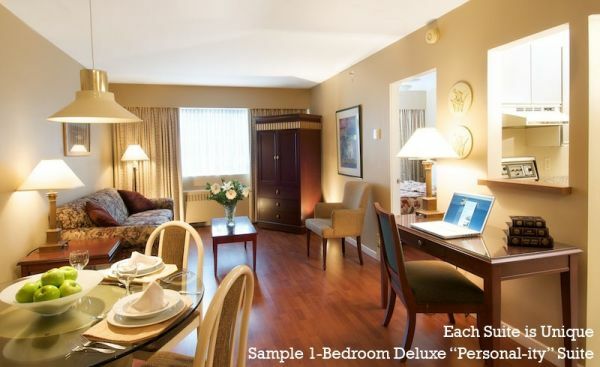 Whether you are seeking short or long-term accommodations you may choose a suite that best fits your personal desires including studio, one bedroom or two bedrooms. For the greatest space, appointments and amenities try our Executive or Director Suites and enjoy the upmost in comfort. All suites feature a fully equipped kitchen, separate living and dining areas, stereo, telephone with voice mail and TV complete with specialty channels. Ask about which suites include the added special touch of a fireplace. While The Rosellen Suites has gone to great lengths to ensure every convenience has been taken into consideration, if there is anything else you require for your suite the on-site Hotel Manager will personally help find it for you. And, whether you need suggestions for dining and sightseeing, or business services such as fax or copying, the friendly and knowledgeable staff are specialists in providing casual personal service to ensure you have the best experience possible. Twice weekly housekeeping and free membership at the West End Community Center and Vancouver Aquatic Centre are also provided. Single travelers particularly appreciate the open floor plan of the studio suite allowing them to spread out in total comfort. Singles, couples and business travelers find that having a separate living and bedroom area allows them to enjoy personal space as well as a separate area to socialize or conduct business. Families or couples traveling together that prefer to share quality time in the living room while retaining their own personal bedroom space appreciate theamenities and great value of this suite type. Ideally suited for couples traveling together, small families, particularly with teenagers, business travelers that prefer extra space or those preferring to share a suite with colleagues. The 2nd bathroom is a great benefit for larger parties that need to meet tight schedules while traveling on business or pleasure. Director suites are the most spacious with a very open floor plan making it the perfect setting for family and friends to gather around the fireplace and enjoy intimate in-suite dining or small business meetings that can take advantage of the larger boardroom style dining table and spacious living area perfect for meeting clients and displaying goods. 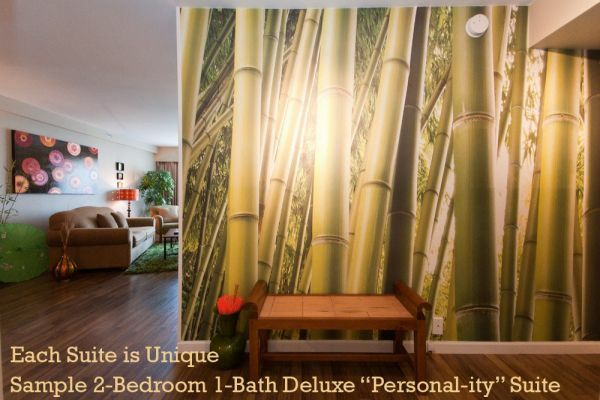 The best kept secret in Vancouver, you will revel in the gracious style and splendor of Hollywood’s golden era. Frequented by Katharine Hepburn during many extended visits to Vancouver, this suite has retained its’ original charm and features 1,900 square feet of living space with a massive wrap around deck making it the perfect setting for special occasions of all kinds including multi-generational gatherings, small weddings, honeymooners, birthdays, anniversaries, girls getaways, new product launches, or for those travelers seeking the discretion, peace and solitude provided in your exclusive penthouse suite. Members of the fashion and film industry come back time and time again to take advantage of this West End gem! Outdoor or Underground Parking is available. On-site parking. Cribs, cots and highchairs are available. Laundry facilities on also on-site. Business travelers find the hotel ideal for small meetings or for meeting clients to display their products. Prices exclude taxes of 5% GST on all reservations plus 10% hotel tax for stays up to 30 days only.